The National 10.7. are coming to Šalata on their fifth Zagreb concert and the ninth concert in Croatia. It is difficult to imagine better preparation for the upcoming SuperUho. The National, the five who has been in love with this city and its audience has developed since 2004 as a small and almost completely unknown band. Every step they have made was a step in the right direction, becoming ever larger and more popular without sacrificing their own artistic and human integrity. When in the light of the last day of September, they saw their seventh album "Sleep Well Beast "Was expected to hit the top of the top charts around the world, and when it comes to the fact that the introductory single" The System Only Dreams in Total Darkness "became their first song that hit the top of some of Billboard's singles charts, it became clear that The National are ready for this final step at the very top of today's music production. Not surprisingly, they are included among the main names of some of the world's most important music festivals, like the upcoming Primavera, and it's no surprise that eight days ago they finally won their first Grammy for Best Alternative Music Album. Although the band is obviously not overly impressed with this award, and accordingly have just mentioned it occasionally on their social networks, it still represents another confirmation as today The National is the inevitable world music size. 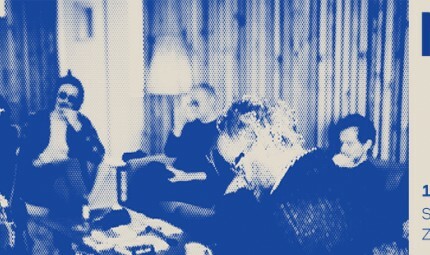 The National 10.7. they come to Salata on their fifth Zagreb concert, and the ninth concert in Croatia. It is difficult to imagine better preparation for the upcoming SuperUho.